TPG is celebrated mostly for its cheap, widely available Unlimited bundles. 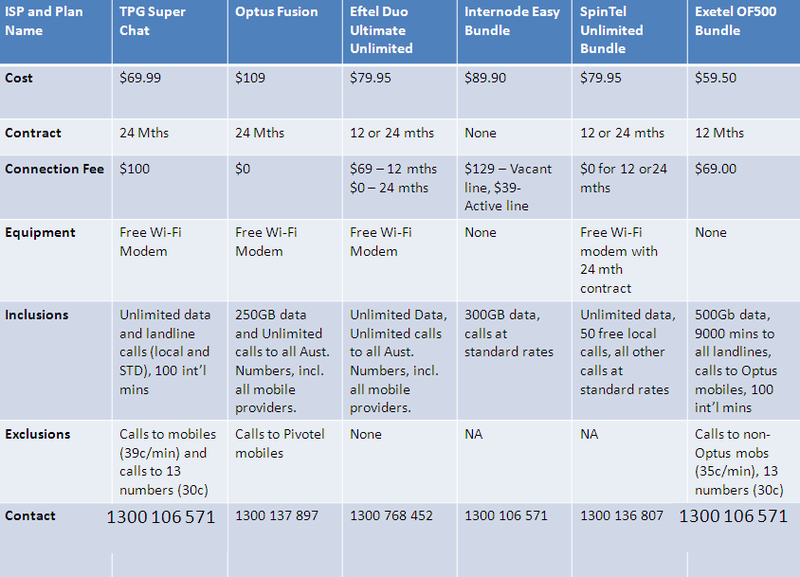 For $60, TPG offers unlimited broadband and home phone to over 400 exchanges around Australia. And that’s with contract terms from as low as 6 months. The Unlimited Bundle doesn’t play in the same market space as some alternatives, like Optus’ Fusion Plans which offer oodles of free calls. Most customers attracted to the TPG are renters looking for short term contracts, who barely use the phone to make calls (if at all) and just need a high-speed, no-worries broadband connection. These users use VOIP or their mobiles to make calls, thanks to cheap call rates and cap plans for mobiles. But for those people who want to take advantage of TPG’s low prices and still use their home phone to make calls, there is the Super Chat Bundle. This $70 bundle comes with included calls and a free modem, on a 24 month contract. This places it on par with the more family-friendly bundles from other carriers, but how do they all compare? See the chart for comparison. Note: We have only included Peak data for plans that offer peak and off peak data packages. We’ve also looked at big plans, which currently offer much better value and are more family friendly, allowing for lots of use without the worry of being slowed down.